Volleyball is without a doubt a great team sport. There are a number of reasons why people play volleyball. It is a fun way to bond with family and friends. And it’s an alternative way of reaching fitness goals. Others simply play volleyball for fun and entertainment. Whatever your reason may be, you will reap the benefits of playing volleyball. Volleyball is an excellent cardiovascular exercise. It involves running, jumping, hitting and even squatting which will get your heart pumping and your lungs going. Getting your heart rate up will result in the efficient circulation of blood and other nutrients throughout your body, which improves your overall health. Playing volleyball regularly helps keep your heart healthy which in turn helps to prevent diseases such as cardiovascular diseases, cancer, and diabetes. Another benefit of playing volleyball is that it helps improve the muscular system. Volleyball is physically demanding and requires muscular strength and power. When playing, you need to exert effort during serves in order for the ball to reach the opponents’ court. You also need to exert significant force when hitting the ball during rallies. Playing volleyball helps to tone the core muscles and strengthens the upper body, arms and shoulders as well as the thighs and lower legs muscles. Not only does volleyball help to tone and strengthen your muscles, it also facilitates weight loss. Playing volleyball burns up calories which can result in significant weight loss over an extended period of time. An indoor volleyball game can help you burn up to 385 calories in 1 hour, while a beach volleyball game can help you burn close to 600 calories in just 45 minutes. 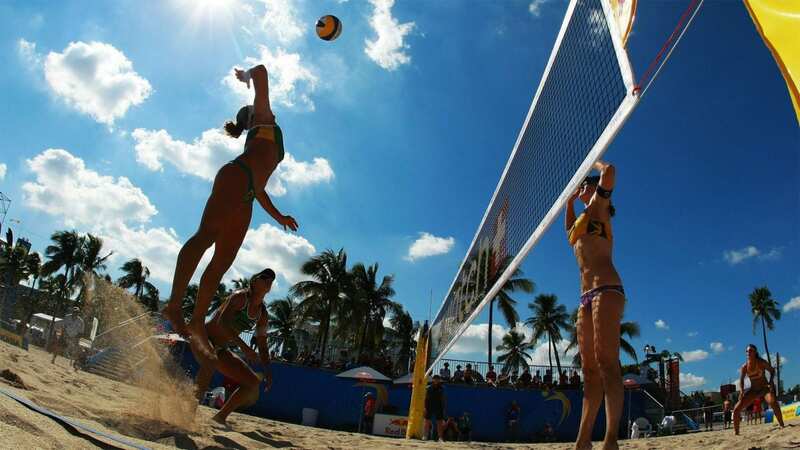 The difference in the rate of calories burned is because with beach volleyball more effort is required to move around the sand court. Another benefit of playing volleyball is that it improves hand-eye coordination. Playing volleyball requires a certain amount of hand-eye coordination for proper execution of serves, hits, blocks, and tosses. During the game you should keep your eyes on the ball and your hand ready to hit it whenever necessary. The constant need for good hand-eye coordination will actually increase your abilities over time. An improved hand-eye coordination is beneficial not only during volleyball games but also in your daily activities. 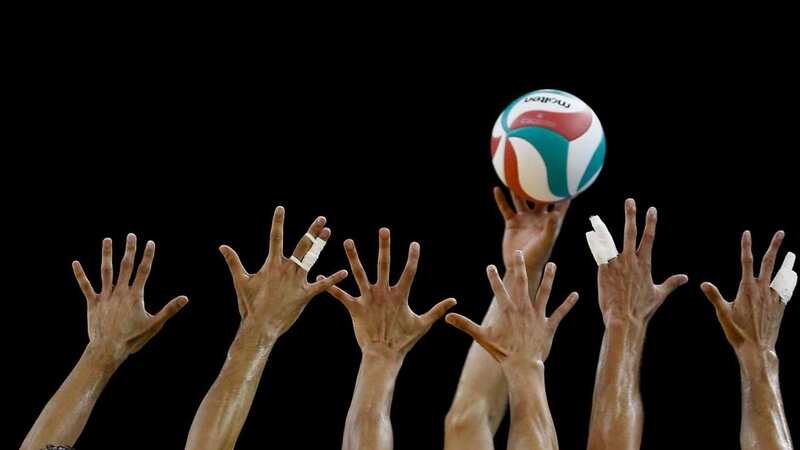 Studies have shown that volleyball players have better hand-eye coordination than those who are not. 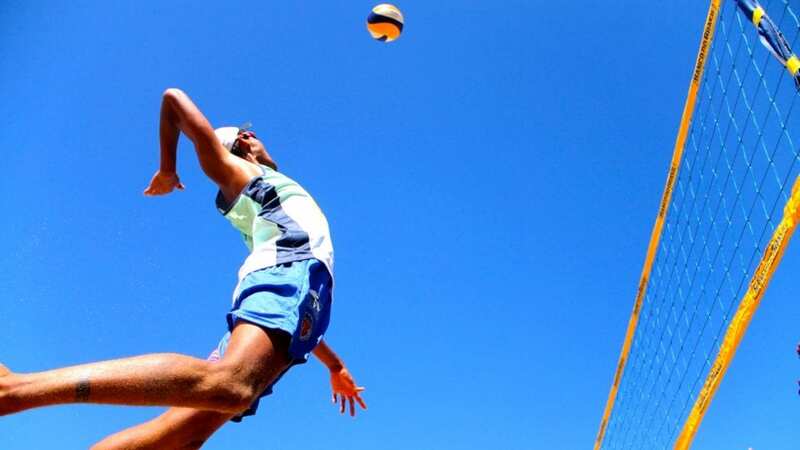 It has also been found that there is a direct positive correlation between the amount of time a person has been playing volleyball and an increase in their hand-eye coordination abilities. Improved balance, speed, flexibility and stamina is one of the most important benefits of playing volleyball. Volleyball is an intense sport that trains all of your senses and challenges your skills. Players are required to serve, pass, set, attack, block and dig the ball. Playing volleyball develops good balance, quick reflexes, and flexibility. Playing regularly also develops your stamina. Volleyball does not only benefit you physically, it also a great way to make new friends and develop your interpersonal skills. It is a team sport, which means it requires cooperation and teamwork. When you interact with your teammates, you learn how to work as part of a team and learn how to work well with others in attaining a common goal, that is, to win. This interaction with team members also provides an emotional network of support. Team members encourage one another during practice and in the game to do their best because every player’s effort contributes to the success or failure of the team. Interaction among team members also helps you learn how to value and respect your teammates. Whether you win or lose, volleyball creates a bond between players which helps them develop their interpersonal skills. These skills go a long way in life, creating healthy relationships with other people. Volleyball also benefits the emotional and mental health of players. It is a fun exercise which reduces stress and anxiety. It can also help in managing mood swings and even alleviate depression. Exercise causes your brain to release endorphins. Endorphins are chemicals produced in your brain which makes you feel happy, experiencing a sense of euphoria and elation, and it decreases the effects of stress and anxiety. Volleyball does not only improve your mood, it also helps to improve our self-esteem. Everyone wants to be fit and healthy. Volleyball helps you lose weight, build muscles, and reduces stress which makes you feel good about yourself. The feeling of belonging to a team also boosts self-confidence. It encourages pride in your accomplishments as a team member. Knowing that you are contributing to the attainment of the team’s goal will make you feel significant. One of the most important benefits of playing volleyball is learning what sportsmanship is. Sportsmanship is the golden rule in sports. It is the behavior and attitude that show respect for the rules of the game, respect for the judgment of referees and officials, and respect to your opponents. Playing volleyball teaches the value of hard work and fairness. It teaches the faithful observance of the rules. It also teaches you how to accept defeat and how to win graciously. In conclusion, the benefits of playing volleyball is not only physical but also emotional and mental. It can help you improve your cardiovascular health and muscular system; improve hand-eye coordination, and help you lose weight. It will help you to develop balance, speed, flexibility, and stamina; increase your interpersonal skills; reduce stress and anxiety; develop your self-esteem – and a whole lot more.